Call us at 416-515-0007, or complete the form! Spider Veins are considered cosmetic treatment and are not covered by OHIP. There is a $75 fee for your consultation. This is credited towards any treatment. Get in touch today for an affordable Spider Vein treatment! Our physicians ensure you receive the highest quality treatment possible. Our board certified doctors and Registered Nurses have successfully treated thousands of happy patients, and want to do the same for you! Visit us and get an honest assessment of your vein problems, and learn about the proper treatments for you! Call us today at 416 515 0007 to book your consultation. We provide expert treatment of all cosmetic leg veins – Spider Veins and Varicose Veins. Why trust a non-medical clinic or spa , when you can have the procedures performed by medical professionals with over 20 years of experience? Spider veins are like varicose veins but smaller. They begin as tiny capillaries and appear as blue or red squiggles. They are small red, blue or purple veins that commonly appear on the surface of the thighs, calves and ankles. It’s estimated that at least one third of the adult female population is troubled with this common problem. People often seek treatment for spider veins because of cosmetic concerns. It is uncommon for spider veins to cause symptoms, such as aching, heaviness, itching and night cramps – these are associated with larger, bulging, varicose veins. Will I get more spider veins after treatment? Sclerotherapy and Laser do not prevent the development of new spider veins and varicosities later in life. It is important to avoid the triggers that can increase the chances of your developing more, including wearing stylish compression stockings if recommended after your sclerotherapy treatments for spider veins. We inject the deepest feeders, which clears the surface veins for the longest possible time. This is standard medical practice worldwide. Treatment of spider veins with sclerotherapy is safe and effective. Serious complications are extremely rare, and in almost 20 years of treatments at the Baywood Clinic, we have not seen any. Minor complications can include some slight bruising over some of the injected vessels, though this is not usually the case.A day or so after the injections, there may be some areas around injection sites that temporarily darken, this is due to blood in the veins being reabsorbed into the skin. Typically, this fades quite quickly. But we do recommend that you finish your treatments a few weeks before you plan to wear shorts to any important events like weddings or vacations. Most patients like to complete their sessions between September and April, though it is possible to treat all year round. It is important for you to wear compression stocking for 1-3 weeks after treatment to reduce the risk of bruising and swelling or other complications. This will help seal the treated vessels, and reduce the development of dark spots. 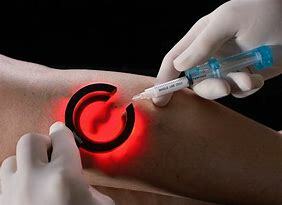 It can reduce the number of treatments necessary, and the possibility of recurrence. Why choose our Toronto Vein Clinic ? The Baywood Clinic has been treating spider veins since 2001. Over the years we have seen thousands of patients with all varieties of leg vein conditions, from the smallest, hair thin, red spider veins of the thigh, to the largest, bulging Varicose veins that eventually lead to pain or ulcers. Our team consists of licensed physicians who do a comprehensive exam and take a proper medical history before we recommend any treatment. Our nurse-sclerotherapists have many years of training and experience injecting spider veins and are often called to act as instructors for physicians at medical training programs. In addition, for patients with large varicose veins, our surgeons are the most experienced in Canada using the Endovenous Laser. In fact, they were the first to bring this technology to Toronto and have done thousands of successful cases. Our Process. At our Clinic, we treat every case as medical professionals. Some medi-spas do not have any one with any sort of medical qualification on staff (no licensed physicians or nurses), yet they treat spider veins solely with laser. At Baywood, we follow internationally recognized protocols for the assessment, treatment, and follow-up of all vein problems. The first step is to meet with the Doctor, who will take a full medical history, since there are several medical causes for vein disease that need to be ruled out. An examination of your legs will follow, using a doppler ultrasound as a screen to rule out serious vein disease, which can be determined if there is a large valve leak in your venous system. If there is any doubt, an OHIP covered Duplex scan will be ordered at a local hospital, so that you can be confident of getting an unbiased report on the condition of your venous system. Only if the report shows that there is no serious deep venous disease will we proceed directly to sclerotherapy of your spider veins. If there is large vein disease you will be referred to discuss EVLT with our surgeon, an expert in the field. Our Experience. The Doctors, surgeons, and nurses at the Baywood Clinic are all licensed in the Province of Ontario. The Medical Staff all have Specialist certification as well. If we add up the total number of years our team has been assessing and treating spider veins in Toronto, it would be well over 100 years! That’s a lot of spider veins. We never recommend or begin treatment unless we are confident that you have a very high degree of success. We do not practice the pick and poke methods seen in some clinics, or charge by the number of injections. This is not a good idea, since 30 injection in the wrong places, just targeting the smallest spiders, may not be as effective as two or three injections directed at the large feeder vessels deep under the surface of the skin. We have seen many patients who have spent several thousands of dollars over several years on continual, unsuccessful treatment. Their main feeders were not being treated. Our team tries to complete your spider veins treatment as quickly and cost-effectively as possible, since our biggest source of new patients are our satisfied current patients themselves. Varicose veins: large, swollen blood vessels that often are blue in color; they tend to be tortuous as they twist and turn. Usually developing in the legs, they can be felt easily and can be seen through the skin. Spider veins are smaller veins or sometimes called telangiectasias. Spider veins are always easily visible through skin on the legs and face. They are usually red, purplish, or blue and might also twist, but more often they are hair like and not possible to feel through the skin. The most common area is the outer thigh, although they can be found anywhere on the leg – lower leg, feet and ankles and on the face or nose. If they are found on the face, sclerotherapy is rarely indicated, because of the danger of ulceration. If you have blood vessels on the face the gold-standard world-wide is the Pulsed Dye laser which is used in major teaching hospitals everywhere We use this laser at the Baywood Clinic to treat spider veins of the nose and face. Heredity: Patients often tell us that one or both of their parents suffered from spider or varicose veins. 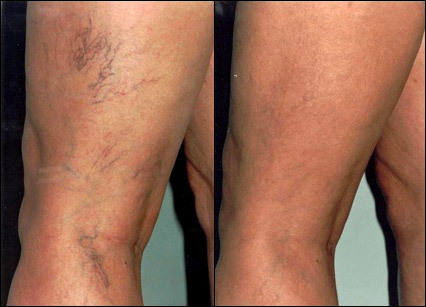 Spider veins usually develop more often in women than in men, with over 50% of females having some spider veins by the age of 35; and over 80% by the age of 60, so they will increase with age. Overall it is estimated that bout 40% to 65% of adults have some degree of spider veins. Many patients suffering from large varicose veins complain of pain, an aching, cramping or tired feeling in the legs. Restlessness, burning, a feeling of heaviness or tingling in the legs are also described by some patients. Raising the legs or by wearing compression stockings often help with these symptoms. In women, symptoms may get worse during menstrual cycles or during pregnancy. Fortunately swelling, ulcers, and hyperpigmentation or darkening of the skin around the ankles is less common but signifies serious vein disease that should be seen by the doctor as soon as possible. Varicose veins can form blood clots called thrombophlebitis; this is painful and swollen and requires immediate medical attention. Fortunately, smaller spider veins do not usually present with any of these symptoms. Usually patients come mostly for cosmetic reason, but it is important to note that spider veins, if totally untreated can develop into larger clusters that can become a problem. For this reason, and not just cosmetic ones, a visit to our spider veins clinic in Toronto is worth considering. Toronto Sclerotherapy and other spider veins treatments. There are several medically approved forms of spider veins treatment available. 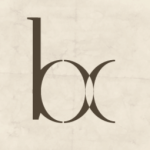 The Baywood Clinic offers only treatments that have been shown, over many years of medical research, to work effectively and safely. Compression stockings. Wearing compression stockings is most conservative approach. Not like the beige, bulky stockings your grandmother may have worn, these are fashionable, made of fantastic stretchy material that last a long time and come in numerous colors, thicknesses and styles. Pantyhose, thigh and knee-length are available, as well as stocking for runners. You will be fitted for your customized stockings by our trained staff, and they are ordered in the exact combination that you desire. Wearing these means that you reduce the tiredness or mild pain that spider veins can cause (even more important if you have had varicose veins treated with us). At the end of the day your legs will thanks you, as you will notice how refreshed they feel. We have many patients who tell us just wearing the stockings has made a major difference in their lives. They also prevent new spider veins from developing. Most Insurance Companies group plans cover the cost of stockings, and we many airline attendants, nurses, and others who stand on their feet for long periods of time who order 2-4 pairs every year. Compression stockings are s simple, fashionable, and affordable way to get control of your vein problems and are highly recommended after any sclerotherapy treatment sat our vein clinic in Toronto. Lifestyle. Changes in your lifestyle can also reduce the risk of developing spider veins. If you are overweight, this can increase the likelihood of venous disease, so maintaining a balanced, healthy diet and getting regular exercise can help. Sclerotherapy. This is without question the gold standard world-wide for the treatment of spider veins. There just is no debate about that. 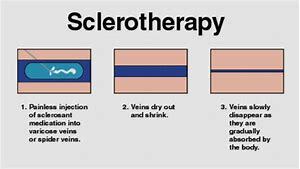 Sclerotherapy involves a trained medical professional injecting a small amount of sclerosant (for example, a saline solution) directly into the veins, which causes them to collapse. Properly trained and experienced injectors can locate the deeper feeders, by eye, or using special illuminating devices that our vein clinic has here in Toronto. The needles are so tiny you can hardly see them, they are even smaller than the hair thin needles used by diabetics to inject insulin daily. Our nurses are so skilled that you hardly know the injections are being done. Sclerotherapy has been widely practiced since the 1930’s and it is so common in France and other European countries that most women have a regular sclerotherapy doctor in the same way they have a family doctor. In Canada, the hot spot for sclerotherapy is Quebec, since many of these physicians trained in France. Sclerotherapy in Toronto is rarer, and our vein clinic https://baylaser.ca/vein-clinic-toronto/ is one of the few in the City that offers this treatment. 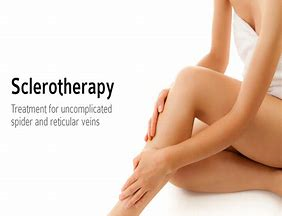 But have no doubt, sclerotherapy is the state-of-the-art for spider veins, this can easily be confirmed by searching the internet and looking for legitimate vein clinics in University settings. There is simply nothing better for affordable, long-lasting results. Period. The best time to start your sclerotherapy sessions is in the Fall, since you will want to be vein free by shorts season the next summer. Occasionally there is minor bruising after a session that usually resolves over 3-4 weeks. So, plan, and have the sessions space out over the Fall and Winter months o that by May you are ready to go! 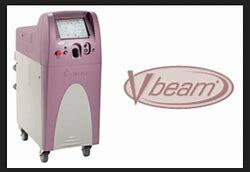 Endogenous laser treatment EVLT is a treatment solely for larger varicose veins. At our clinic you will not be injected with sclerosant for spider veins until we are sure you have no larger vein disease. We have seen many patients who have spent years and thousands of dollars in endless treatment for their spider veins here in Toronto, when in fact they did require an EVLT. As stated above, any recommendation for this treatment will only come after you have had an independent hospital based Duplex Ultrasound examination. EVLT involves the insertion of a laser fiber into the large varicose vein which then is used to slowly collapse the vein. It is the gold standard for major vein disease. In fact, one of our Doctor’s own mother had the procedure at the age of 78, and went from not being able to walk 100 feet without pain, to walking over 2 kms every day into her late 80’s. Lasers and intense pulsed light (IPL) Many medi-spas and other non-medical clinics offer laser for the treatment of spider veins. We only use lasers for treatment of facial spider veins, or on very rare cases where an individual is needle-phobic. This has not occurred in over 10 years. The reason we do not use lasers is simply they do not work. They only destroy the most surface vessels, and do not treat the deeper, underlying feeders, so that the spider veins simply reoccur. For example, a few years ago had a female patient who spent over $4000 at a medi-spa getting laser on her leg spider veins; each session was $500. This went on for two years; her veins would clear in one area of her legs, but by the time she returned for treatment of another area the originally lasered veins were returning. She came to see us disappointed and skeptical. After a complete and proper exam, and a negative Duplex ultrasound our nurses went to work. In three sessions her legs had cleared over 95%, and she was extremely happy. She needs to return every 18 months or so for a single maintenance session, but by wearing her compression stockings, she has found that the number of vessels recurring is basically noticeable. So, for less than $700 she obtained a result that was more satisfying and longer lasting using sclerotherapy by trained medical personnel than with her laser treatments that cost over 5 times as much! Once you have had the chance to ask questions, do your own research and decide if the suggested treatments are right for you, you can rest assured they will be carried out to the highest standards. We have patients who have visited for over 20 years, and we are proud of the fact we can build such long-term relationships with our patients. So, do not hesitate to contact us. Your legs will thank you!